Many people don’t understand one of the most fundamental reasons to file a tax return: claim lucrative refundable tax credits. It’s especially important for families that qualify for the Canada Child Tax Benefit, which is expected to be enhanced this July. If you don’t do your RRSP planning now and contribute to your RRSP by this year’s deadline of February 29, it can cost you a loss of monthly benefits income from the CCTB throughout the period July 2016 to June 2017. Remember, your eligibility for these credits depends on your family net income level, and that’s where the RRSP comes in. It will reduce your family income to produce more in monthly Child Tax Benefits or other refundable credits, described below. Unfortunately, the actual amount you may receive by claiming refundable credits is not very obvious on the tax return; in fact, the amounts you qualify for are not listed on the return. That’s too bad, as it makes planning more difficult for taxpayers. It’s true, the calculations can be quite onerous; so CRA does the calculations for you once your family tax returns are filed. Your Tax Services Specialist can help to identify the amounts for you before you actually file; more importantly, this professional can help you understand the difference an RRSP can make in your monthly benefit receipts. Alternatively, you can access the Knowledge Bureau Income Tax Estimator to help you with your planning. There are three important refundable tax credits from the federal government; in some cases, provincial governments may also provide similar income supports. 1. The Canada Child Tax Benefit. This lucrative tax benefit is paid monthly, to parents with certain net income levels. Application for this credit generally happens upon the birth of a child. Many provinces supplement the Child Tax Benefit for their residents. These provincial supplements are included with the cheque/direct deposit received from the federal government. Starting in July 2011, each parent who lives with the child in the case of separated families, can receive 50% of any GST/HST Credit and Child Tax Benefits. Starting in July 2016, the calculation of this credit will depend on the age of the child and parents can expect to receive a substantially different amount for the July 2016 to June 2017 benefit year. Your income tax preparer will be able to tell you how much to expect when you file your return. 2. GST/HST Credit. The GST/HST Credit and Canada Child Tax Benefit are based on a July to June “benefit year” based on net income. You are eligible to receive the GST credit if you are at least 19 and a resident of Canada at the time the payment is due. So, you’ll want to file a tax return if you will be 19 by April 30, 2017, to start receiving it after your 19th birthday, as it is paid quarterly. A GST credit can also be claimed for your child, but specifically not for a foster child. 3. Working Income Tax Benefit. The WITB is designed to offset, in part, the high effective marginal tax rates that low income earners experience when their income increases as they go back to work. That’s due to the withdrawal of income support programs. To mitigate the effect of those clawbacks, lower earners can receive some relief from these real dollar affects. This credit is calculated as 25% of earned income in excess of $3,000 (for most provinces), that is, the total of employment and business income (ignoring losses). To receive it, you must complete Schedule 6 on your return, be at least age 19 or have a child, and earn a minimum amount of net income. If you are single and your net income is under certain clawback thresholds, you’ll receive a maximum credit of $1,015 in most provinces; $1,844 if you have a family. An additional supplement of $508 is available to disabled taxpayers. The WITB may be claimed by either spouse (or common-law partner) but only one spouse may make a claim for the family. Families may request a pre-payment of up to one-half of their expected WITB. These payments will be issued quarterly in April, July, October and January. The WITB cannot be claimed by full-time students unless they had an eligible dependant during the year, by part-time residents (i.e. newcomers) or by persons confined to a prison or a similar institution for at least 90 days in the year. Remember, even if your income is zero, you should file a tax return to benefit from the GST/HST Credit. In addition, there are numerous provincial refundable tax credits you may be able to benefit from as well. CRA has released a newly revised 9-page form T657, which takes into account the increase of the Lifetime Capital Gains Deduction (LCGD) to $1 Million for Qualified Farming and Fishing Properties for dispositions after April 20, 2015 and to $813,600 for Qualified Small Business Corporation Shares for tax year 2015. It can safely be said this form is not for the faint of heart. First, the deduction is one half these new gross amounts, $500,000 and $406,800 respectively, although further adjustments are required to take into account capital losses claimed in prior years, a CNIL (Cumulative Net Investment Loss) Balance, and ABILs (Allowable Business Investment Losses). To qualify, taxpayers must be residents of Canada throughout tax year 2015, but again exceptions exist in certain cases for part year residents. Further calculations are required when there is a reserve taken to account; that is, when a purchaser pays for the qualifying disposition over time. The limit on gains arising from dispositions in 2014 of qualifying capital property is $400,000 (one half of a lifetime LCGE of $800,000). The limit on gains arising from the dispositions of qualifying capital property after March 18, 2007 and before 2014 is $375,000 (one half of a lifetime LCGE of $750,000). The limit on gains arising from these dispositions from 1985 to March 18, 2007 is $250,000 (one half of a lifetime LCGE of $500,000). Further, allowable capital losses claimed in 1985 were restricted to a maximum $2,000. Part 1 of the form calculates the Annual Gains Limit. This is the eligible taxable capital gains less net capital losses and ABILs claimed. Part 2 calculates the Cumulative Gains Limit. These calculations take into account eligible capital gains reported after 1984. Part 3 sorts out the types of dispositions and the relevant dates and amounts, over 5 pages, leading to the actual claim on Line 254 of the tax return. The calculations are backed with detail on Chart 1, which calculates net capital losses in the period 1985 to 2014, and Chart 2 calculates Capital Gains Deductions claimed in prior years. Tax preparation software of course saves the day, for tax advisors and taxpayers alike; however a “reverse engineering” of the calculations is necessary to understand the effects of losses and carry overs on the actual outcomes. For these reasons, a good review of the Capital Gains Deduction provisions is mandatory at this time of the year for any tax accountant. Further, as important for any client using professional tax accounting services for the first time, is the realization that it’s going to take time to reach back into time to produce all the documentation required to do the calculations accurately. The moral: it’s never too early to start pulling your tax files together when your year has included sophisticated business or investment transactions. Additional Educational Resources: Knowledge Bureau’s T1 Professional Tax Preparation – Advanced course, EverGreen Explanatory Notes and the Income Tax Estimator. Did you know that in Canada every individual can earn over $950 a month completely tax free? You’ll want to pay particular attention to the “tax credits” you may be entitled to, and how to benefit from them, as you get ready to file your tax return. Tax credits come in two types: refundable and non-refundable, and both the federal and provincial tax forms have them. Both are lucrative and filing a tax return is mandatory if you are going to benefit from them. Here’s a brief primer to help you better benefit; starting with a look at non-refundable tax credits. Everyone resident in Canada qualifies for the Basic Personal Amount (BPA) or “Tax-Free Zone”. For 2015 the BPA was $11,327 and for 2016 it is $11,474. That means you can earn over $956 every month completely tax-free. These types of credits reduce federal taxes payable by 15% of their dollar value; they are also included in provincial tax calculators although the amounts vary by province. There are many other non-refundable tax credits on the federal tax return, all of which increase your “Tax-Free Zone”, and reduce taxes payable. This means that these credits do not help those who do not pay tax—and they don’t accumulate; that is, you can’t save them up and use them next year either. Review Schedule 1 of your T1 General Return for a complete listing of non-refundable tax credits available for your use. Try to identify those that your household will benefit from. They may seem familiar to you. That’s because your employer will generally ask you to complete a TD1 Personal Tax Credit Return every year, to better determine how much tax will be withheld from your income. Certain non-refundable tax credits can be claimed for your dependants, like the Public Transit Amounts or Medical Expenses. In other cases, non-refundable tax credits can be transferred to or from your spouse, like the Pension Income Amount or Age Amount. The amount that can be claimed is often based on the dependant’s net income on Line 236 of their tax return. That is income may be reduced by certain deductions like child care expenses. A focus on reducing net income should also influence the order in which you make your investments. For example, you can reduce your net income by making an RRSP contribution if you are eligible. Net income is also reduced by claiming moving expenses or carrying charges like tax deductible interest payments on certain loans taken for investment purposes. Even deducting your union dues and allowable employment expenses will make a difference. Taken together, when you know your family’s “tax-free zones” you’ll be able to better plan family income and the level of tax you’ll pay on it over time. This will give your family unit more economic power, and help you build and retain more family wealth. 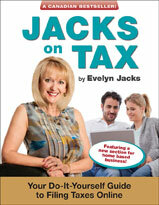 Additional Educational Resources include Family Tax Essentials by Evelyn Jacks and DFA-Tax Services Specialist™ Program. It’s February and that means it’s officially tax season. If you are going to tackle filing your tax return yourself this year—and every Canadian should try to grasp this life skill at least once—you will want to know more about the basic elements of the T1 General Income Tax and Benefit Return. This includes choosing the right package of forms and schedules for your province of residence as of December 31, 2015. A tax return can be filed on paper, or using approved tax filing software and Canada Revenue Agency’s (CRA’s) NETFILE on the internet. If you decide to take your tax filing affairs to an income tax specialist, that professional will use a process called EFILE. For beginners, it’s a good idea to print out the first four pages of the federal tax return and Schedule 1, to become familiar with these five elements. They are the anchor points from which other schedules and forms stem and return to. There are 11 federal schedules, numerous auxiliary tax forms and worksheets and, of course, a separate provincial tax return in Quebec. For all other provinces, a separate package of provincial tax forms is used to calculate non-refundable tax credits leading up to provincial taxes payable on Line 428 of the federal return, and the lucrative provincial refundable tax credits, which show up on Line 479 of the federal return to reduce your payables. You will need to report “world income” in Canadian funds, so now is a good time to gather all information about the income you earned in Canada and abroad as a starting point. Check all your bank accounts for deposits from abroad and check out your requirements to file Form T1135 Foreign Income Verification Statement. This form must be filed by April 30, whether you file a tax return or not. Proprietorships can file the T1 General by June 15 to avoid late filing penalties, but should file by April 30 to avoid interest charges on taxes owed. Everyone else must file by April 30 if they have a balance due. It’s also a good idea to sign up for My Account on the Canada Revenue Agency’s website, so that you can log in and get important information about which copies of T-Slips CRA has received from your employers and financial institutions. This site will not necessarily show all the slips or amended slips when you are filing your return, but will give you a good idea of what slips you might be missing. Also check out the “Auto-Fill my Return” feature, which is new this year. It downloads certain information from CRA into qualifying software, so you can avoid keying in the data from the slips CRA has in its possession for you. If it all seems a bit overwhelming, call a Tax Services Specialist to assist with documentation and setting up your online solutions. Remember, filing a tax return is about what you keep. Make sure you file to your family’s very best advantage, reporting all income to avoid penalties, but digging for every deduction and credit you are entitled to.